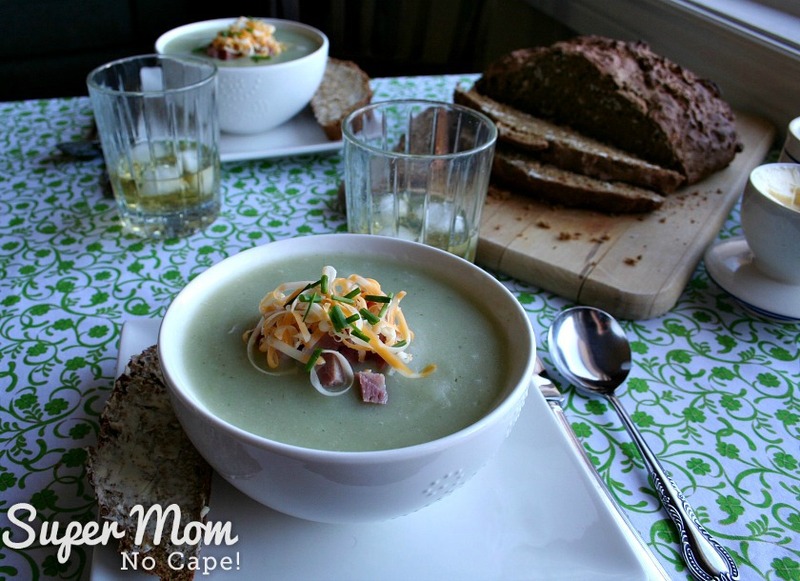 Luck of the Irish Potato Soup - Super Mom - No Cape! 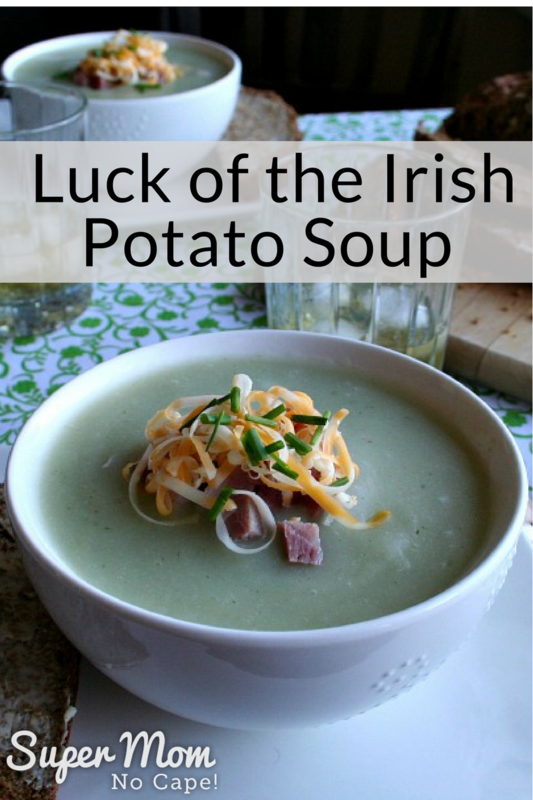 The inspiration for this Luck of the Irish Potato Soup came from a community cookbook from the area of Alberta where Dave and I owned our acreage from 1996 to 2000. I had previously lived in that same community for about 5 years when I was growing up. 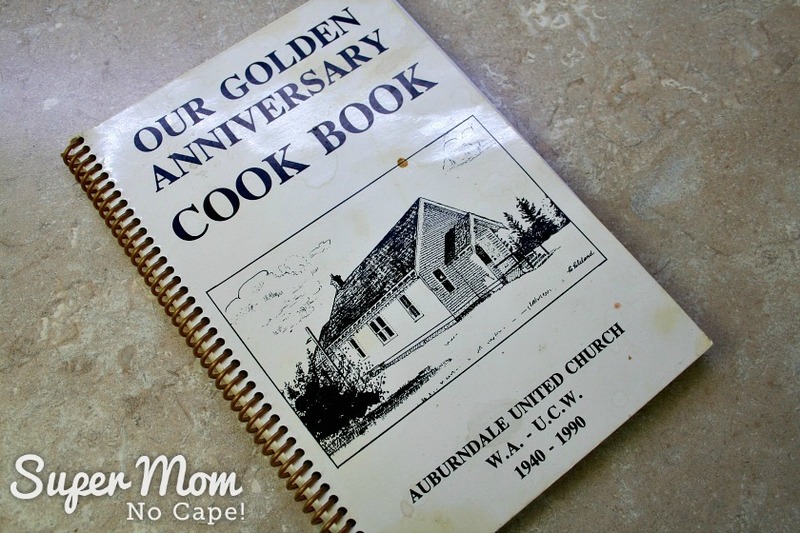 The front cover of the cookbook has a drawing of the small church that was across the road from the store. The church is still there today but the store closed in the late 70s and was converted to a home. The artist who drew the picture is the same Mrs. Cleland who submitted her potato soup recipe to be included in the community cookbook. I spent many hours over at the Cleland house during the time my family lived at the store as her daughter was the same age as me. 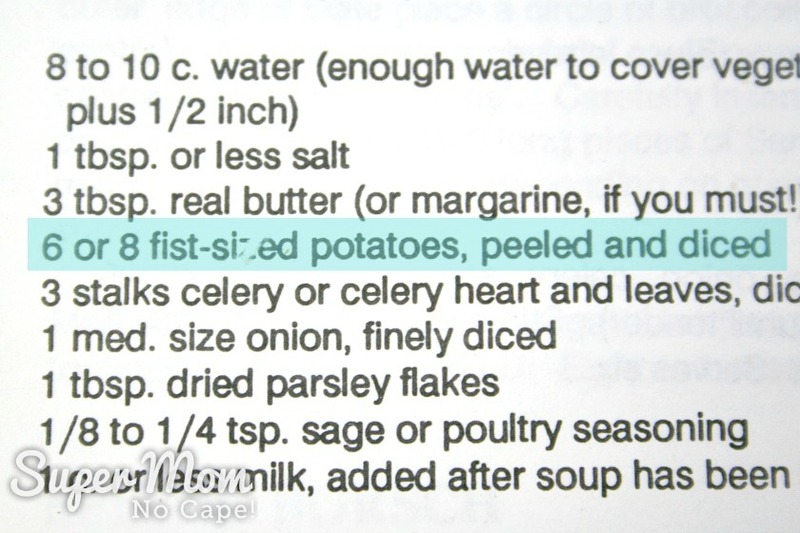 Do you see where the directions say to use 6 or 8 fist-sized potatoes? Dave, ever the comedian, asked whether that meant his fist size or mine. 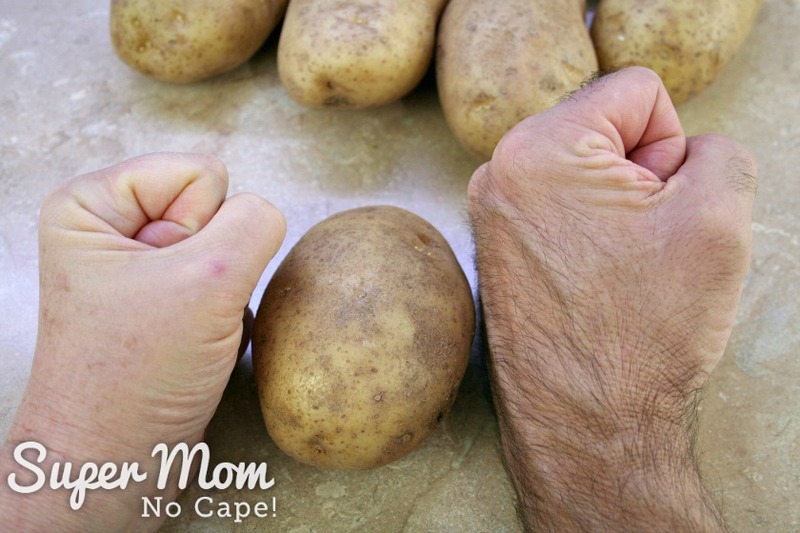 I told him that since it was usually women doing the cooking on the farm, Mrs. Cleland meant a women’s fist size. I’ve updated the directions and made a couple of changes to the recipe to suit our tastes. In honor of St. Patrick’s Day, I also changed the name. Peel and chop the potatoes until you have enough to half fill a large pot. Take everything over to the stove. 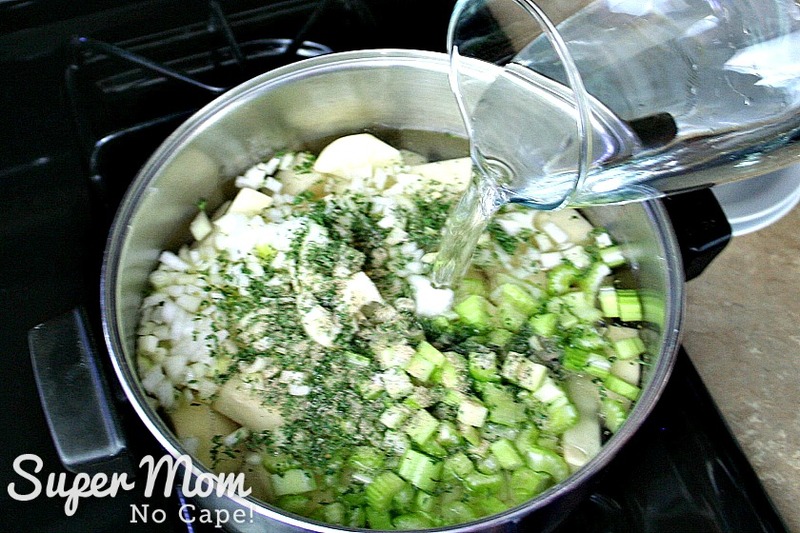 Place the potatoes, onion, celery, parsley and salt and pepper into the pot. 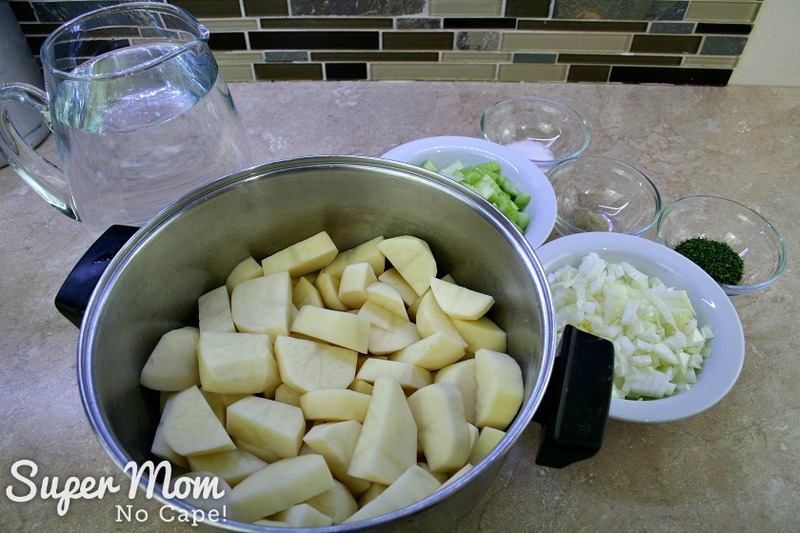 Fill the pot with water until the water is about 1 inch over the potatoes. Cook on medium high for 20 to 25 minutes or until the potatoes are fork tender. Remove from heat. Do NOT drain. Mash the potatoes in the water. 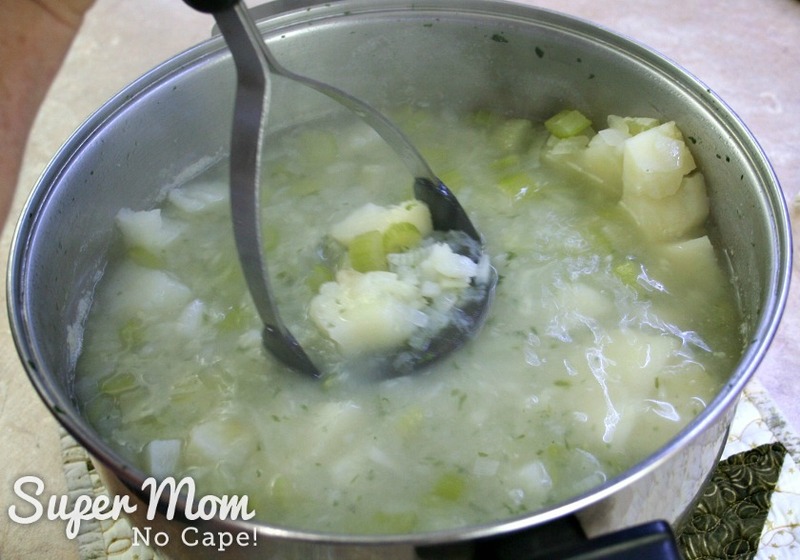 If you like your potato soup on the rustic side with lots of bits and pieces still identifiable, you can call this step done as soon as all the potatoes have been mashed. 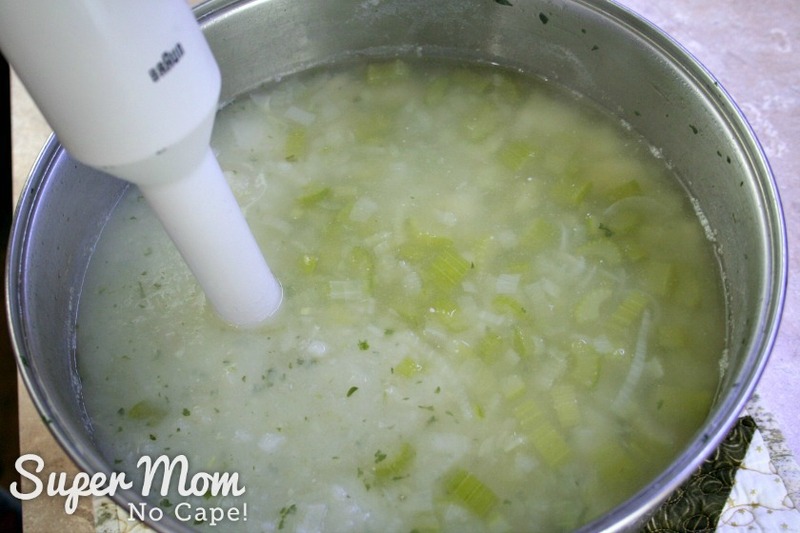 If however, you like your potato soup to be smooth and creamy, you can use an immersion blender to achieve that. 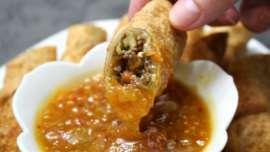 You’ll want to be careful because the soup is extremely hot and if you try to work too fast, the soup can splash up and scald you. 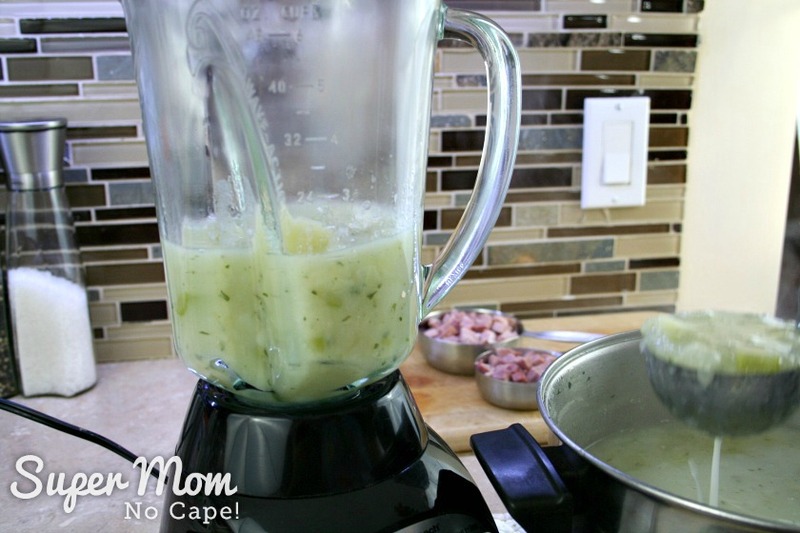 My preferred method is to transfer the mashed mixture to a regular blender. You’ll need to do this in steps. Fill the blender jar no more than 1/2 to 2/3s full each time and blend until smooth. 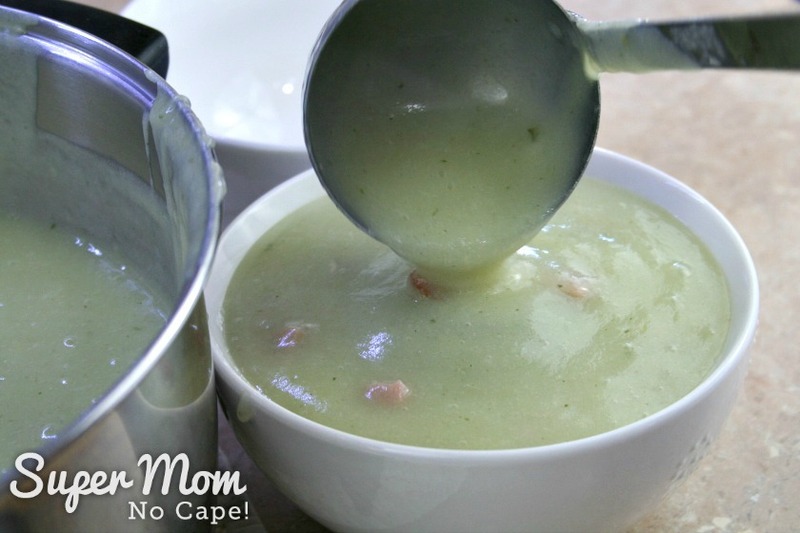 Transfer the pureed potato soup to a large bowl and continue until the pot is empty. 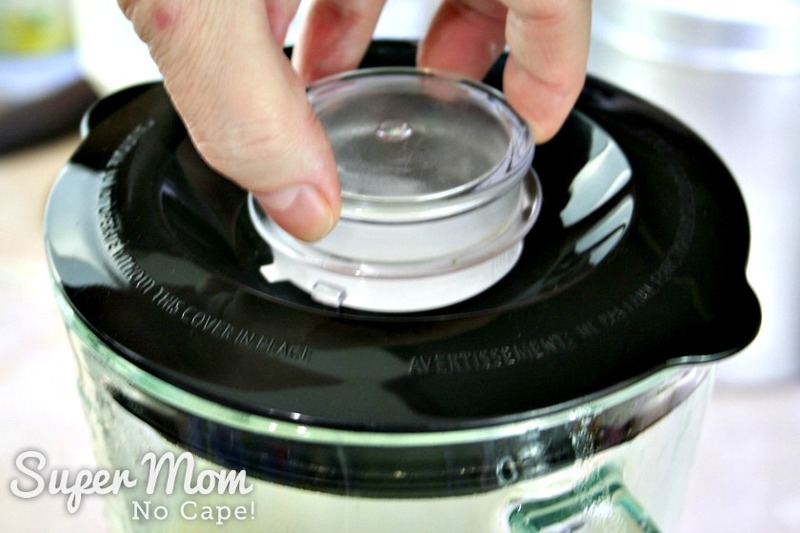 Leave the lid cap loosely in place and cover with a clean tea towel that has been folded several times. 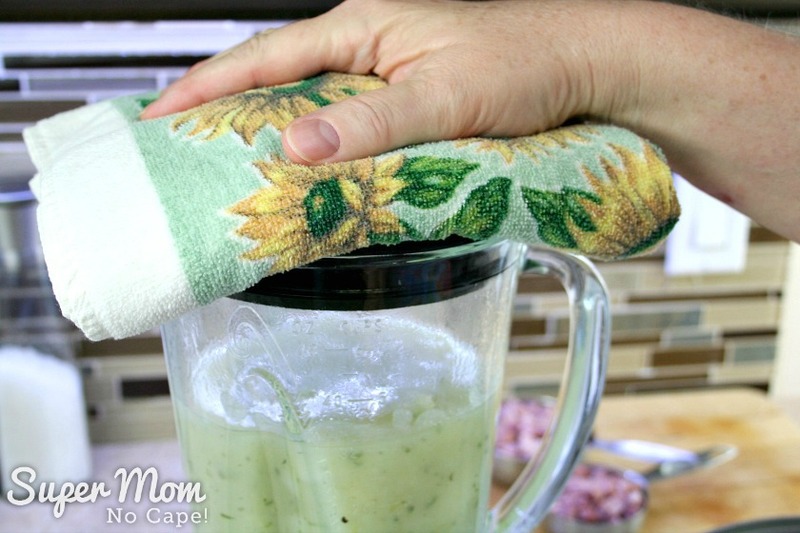 This prevents steam from building up in the blender jar by allowing the steam to escape around the edges of the towel. Once all the soup is pureed, pour it back into the pot. 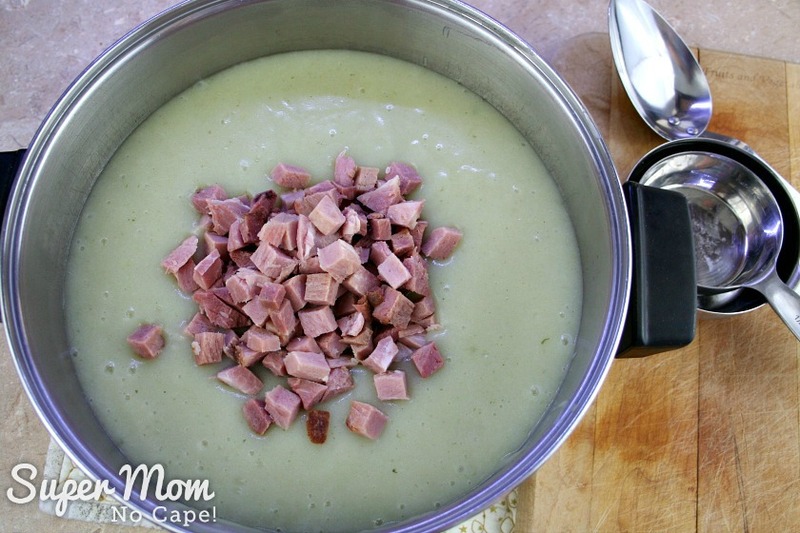 Add the ham and return the soup to the stove to cook for an additional 15 minutes on low so that the ham has a chance to add its flavor to the soup. 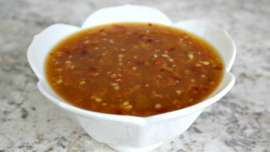 Be sure to stir frequently so that the thick soup doesn’t stick to the bottom of the pot. 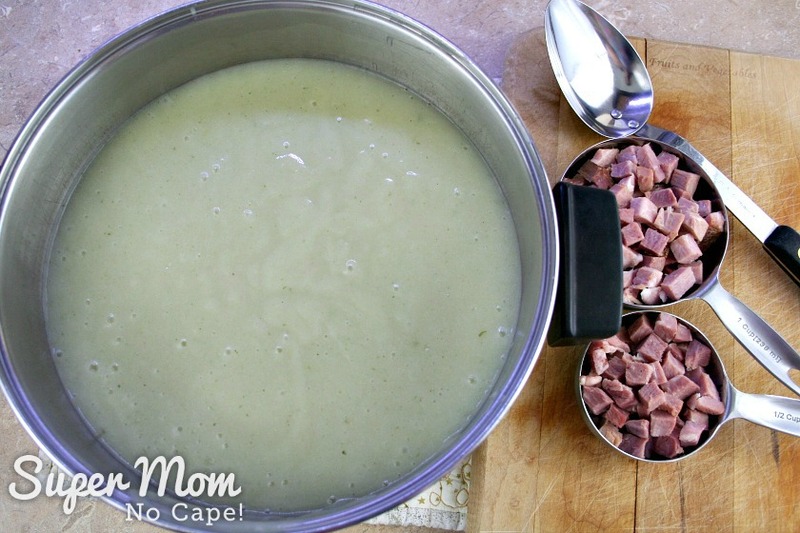 Just before serving, add the milk until the soup is the thickness you prefer. Finally, add salt and pepper to taste. If you like, garnish it with some extra chopped ham, a bit of grated marble cheese and chopped chives. 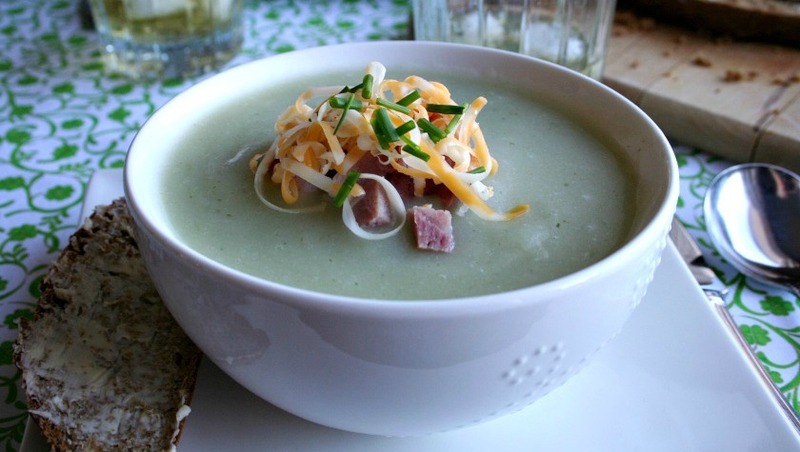 The soup is delicious served with a nice thick slice of my homemade Irish Soda Bread with a Rye Twist. 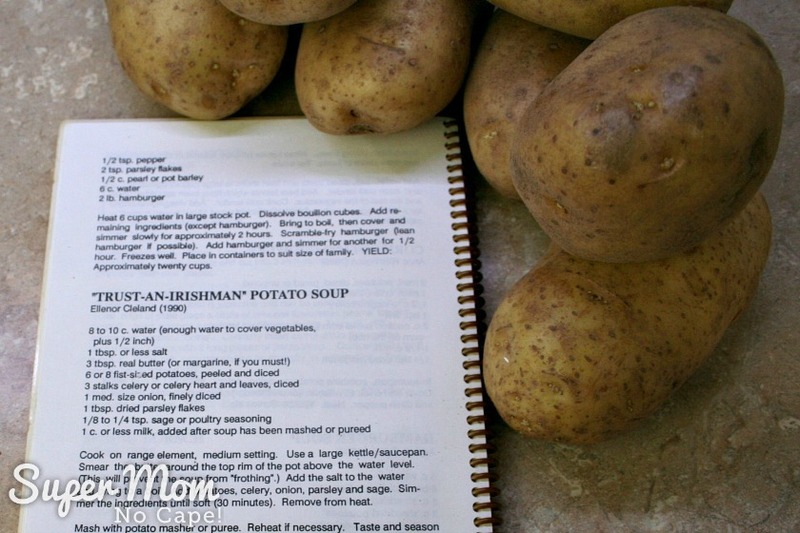 Notes: This soup can easily be adjusted to feed a larger family simply by adding more potatoes to the pot. 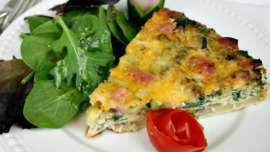 It could also be adjusted down by using fewer potatoes in a smaller pot. 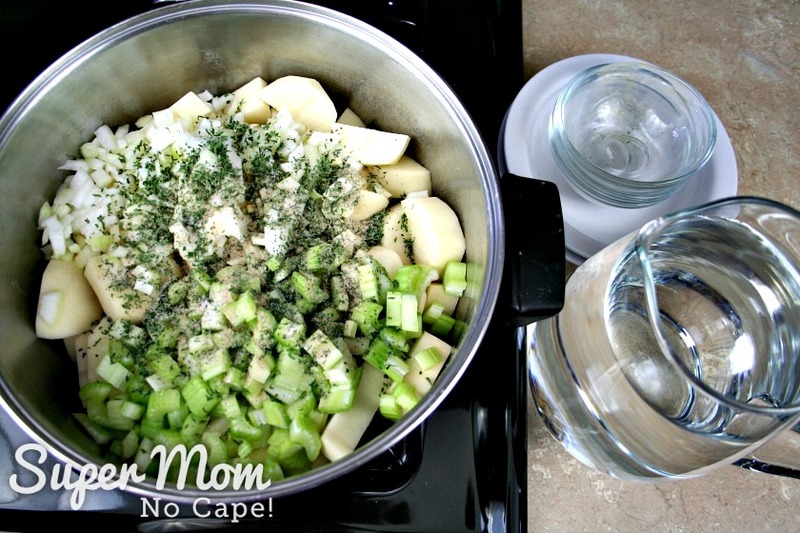 Just remember to fill the pot with enough water to cover the potatoes and other ingredients with about 1 inch of water. Another quick to get on the table soup is my Whatever’s In the Pantry Soup made with… you guessed it… whatever you happen to have available in your pantry and fridge. You might also like to try my Delicious Stick to Your Ribs Bean Soup recipe made from my Bean Soup in a Jar Mix.It takes longer than Luck of the Irish Potato Soup and Whatever’s in the Pantry Soup but it is oooh so worth the extra time. Save this recipe by clicking on the Pinterest button underneath this post. 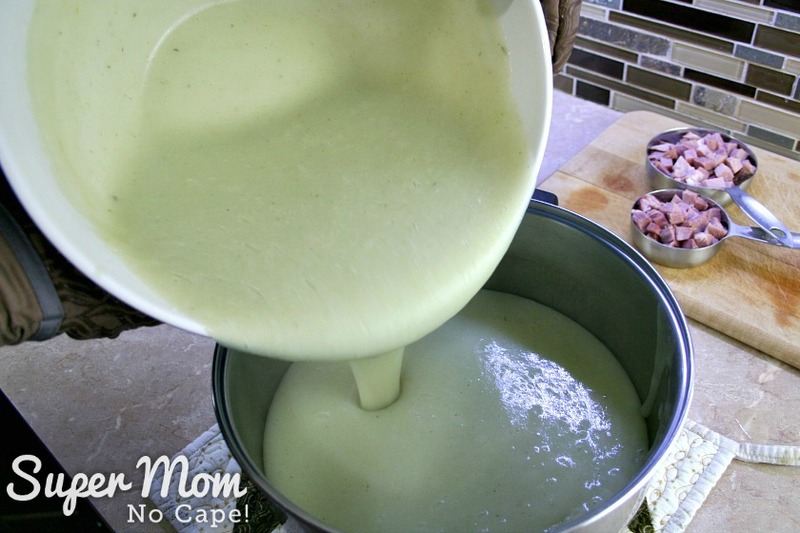 Note: This recipe originally appeared on Super Mom – No Cape in March of 2015. It has been completely updated with new photos and more detailed instructions. 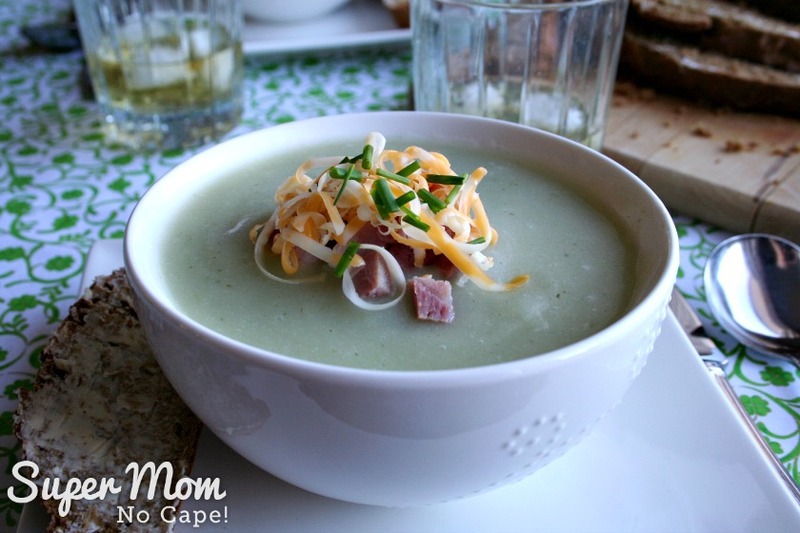 Yum – potato soup is one of my favourites! I grew up eating potato soup. Mom always used dried beef from a little jar instead of ham. 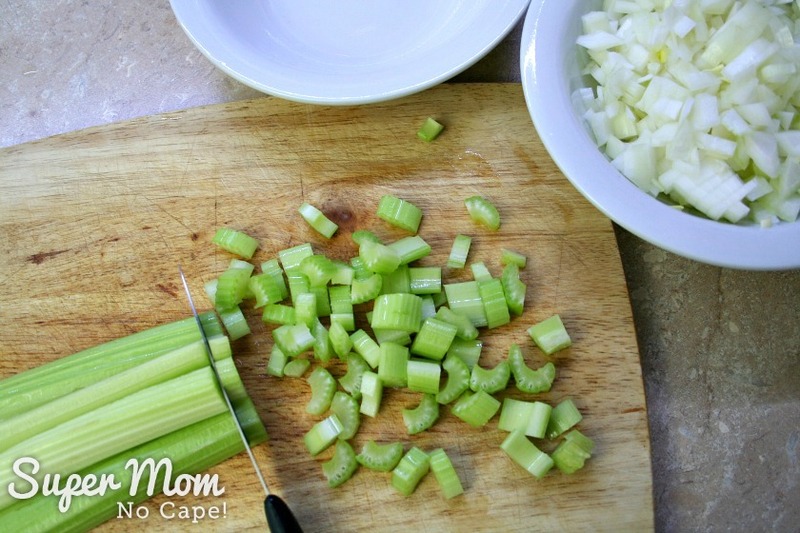 I changed the recipe to use leeks and cream plus some corn starch. Your version sounds delicious too Myrna!